The centerpiece of many homes, dining room furniture can bring traditional elegance or modern style to one of the classic gathering spots for friends and family. These furniture sets may be passed-down heirlooms that have survived generations of use or brand-new purchases as you create your own identity as a family. Despite what kind of dining room set you have, chances are that the hardwoods used in the seats are just that – hard wood. Despite their uncomfortable nature, the style and sentimentality wrapped into this furniture keeps it around, no matter how little use it may receive. But with custom dining chair cushions from The Foam Factory, you can add personalized comfort to any chair that can be left on the seat at all times or removed when not in use to maintain the style of your home. Dining room sets are frequently singled-out as some of the most uncomfortable furniture in existence, but there can be plenty of surfaces in and around the home that can experience improved comfort in the form of a soft cushion. The Foam Factory’s cushion material, fabric and customization options translate to seat cushions for chairs in virtually any size, style or design, giving you the opportunity to turn a long-neglected seat into the family favorite. Adding a removable cushion to furniture is a smart and easy way to make furniture comfortable, whether it once was and has lost its best qualities or has been unpleasant since they day it was acquired. Custom chair cushions can be placed on any seat for instant comfort and don’t require potentially costly modifications or reupholstering. When not in use, these removable cushions can also be stored away if a clean, minimal look is your home’s motif. The concept is the same as a bed topper used for uncomfortable mattresses. 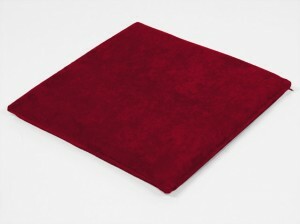 Available in six standard foam varieties, The Foam Factory can make a seat pad out of the most luxurious soft foam to the firmest foam for stable support that still softens a hard chair. In addition to their standard cushioning foam selection, The Foam Factory embraces customization and will gladly use any other foam in their inventory, even if it is a material not traditionally used as mattress or cushion foam. Often ranging from 1 to 3 inches tall, these cushions are able to be individualized to give you the perfect combination of size, support and comfort. Additionally, The Foam Factory’s manufacturing capabilities allow them to produce any two-dimensional shape, perfect for the creation of irregular, handmade or one-of-a-kind seating. Edges may even be beveled or pinched together for smooth lines and even circular or round cushions can be cut. Because every home is unique, The Foam Factory keeps a selection of approximately 10,000 patterns that can be used in a custom seat cushion cover. Their fabric selection includes 100 percent micro-fiber suede, 100 percent cotton twill, cotton and polyester blends and even vinyl choices. The cover isn’t a cushion’s only visual customization option either. Traditional tufted pillows can be created with buttons sewn through the cushion in any pattern desired for the billowing fullness seen in classic furniture. For contemporary appearances, cushions can be cut with clean, 90 degree angles and smooth surfaces for a crisp shape that is then wrapped tightly for a sleek, modern approach to home styling. 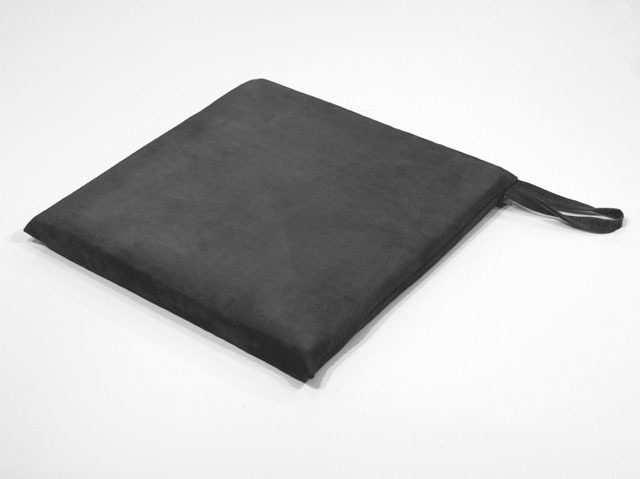 And for the most utilitarian, goes-anywhere cushion, polyester fiberfill wrap can be applied to foam cushions to give added fullness that also adds extra cushioning without taking away from the support of the foam. Finishing is yet another option on these cushions, with zippers, welting and hand-sewn closing seams offered. Corded welting in various diameters can also be added to the top and bottom of cushions for a box appearance or around the edges for a pinched wrap-style. One of the few reasons people choose not to add the comfort of a removable chair cushion is that they can slide while being used or be knocked off accidentally. The Foam Factory allays that concern with the introduction of their newest customization option. Pairs of ties can be added to the back corners of any cushion to tie it securely around the chair’s rails or splats to keep it in place. Should they ever need to be removed, the process is no harder than untying your shoes. Quantity is not limited to the traditional four, six or eight seats that usually make up a kitchen or dining room set either. Individual cushions can be ordered, as can hundreds at a time for an event hall needing to soften hard metal folding chairs or old wooden benches. Stools, church pews and day beds can have new removable cushions and covers created for an update in style or boost in comfort as well. Even outdoor cushions can be made, using special Dryfast foam that permits the transfer of water and air, allowing quick drying and no harboring of mold or mildew. Full-length chaise longue cushions can be made, either in individual pieces or in a single piece with the different sections connected by seams in the covering fabric. Foam inserts can also be made to be inserted at home or by a third party for seats and chairs with non-removable cushions. These can include seatbacks, arm and leg rests and more. Adding a removable cushion to a chair is a smart and affordable way to improve the comfort of your furniture without breaking the bank to do so. Instead of enduring uncomfortable furniture because of its sentimentality or the way it fits within your home, throw on some custom cushions from The Foam Factory and enjoy your dining room sets for both their feel as well as their appearance. I am investigating cushions for our non-profit Music Festival. We occasionally perform in churches and would like to be able to offer personal cushions for sale.The Festival is the largest orchestral Festival in Canada – The Brott Music Festival. We would like to sell the cushions with ‘Brott Bums’written on them! Can you give me price for whatever you think is the best option, for 100 cushions. If it is reasonable and we can sell them for a good price we could offer more for sale. Please contact us by email with your request.